Born August 29, 1956 (age 59) (1956-08-29) Seattle, Washington, U.S.
Mark William Morris (born August 29, 1956) is an American dancer, choreographer and director whose work is acclaimed for its craftsmanship, ingenuity, humor, and at times eclectic musical accompaniments. Morris is popular among dance aficionados, the music world, as well as mainstream audiences. Morris grew up in Seattle, Washington, in a family that appreciated music and dance and nurtured his budding talents; his father Joe taught him how to read music and his mother Maxine introduced him to flamenco and ballet. He studied as a young boy with Verla Flowers and Perry Brunson. At the age of 16, after graduating early from high school, he traveled to Spain where, at the time, he felt he was destined to be a Flamenco dancer. Because of the Franco regime, among other things, he returned to the United States and by 19 moved to New York City and lived in a loft in Hoboken, New Jersey, with other artists (Robert Bordo and Donald Mouton among others) who also worked or performed in the city. In the early years of his career, he performed with the companies of Hannah Kahn, Laura Dean, and Eliot Feld. On November 28, 1980, he got together a group of his friends and put on a concert of his own choreography and called them the Mark Morris Dance Group. For the first several years, the company gave just two annual performances – at On the Boards in Seattle, Washington, and at Dance Theater Workshop in New York. In 1986, the company was featured on the nationally televised Great Performances – Dance in America series on PBS. In 1988, he was approached by Gerard Mortier, then the head of the Théâtre Royal de la Monnaie in Brussels. Mortier needed a replacement when Maurice Béjart, who had held the position of Director of Dance for over 20 years, suddenly left and took his company with him. After seeing the Mark Morris Dance Group give one performance, Mortier offered Morris the position. His company, from 1988 to 1991, became the Monnaie Dance Group Mark Morris, the resident company at la Monnaie where Morris was given well-equipped offices and studios; full health insurance for him, his staff and dancers; an orchestra and chorus at his disposal; and one of the great stages of Europe on which to dance. In 1990, Morris and Mikhail Baryshnikov established the White Oak Dance Project. He continued to create works for this company until 1995. As a ballet choreographer, most notably with San Francisco Ballet, for which he has created eight works. He has also received commissions from such companies as American Ballet Theatre, Boston Ballet, and the Paris Opera Ballet. He has worked extensively in opera, directing and choreographing productions for the Metropolitan Opera, the New York City Opera, English National Opera, and the Royal Opera House, Covent Garden, among others. He directed and choreographed King Arthur for English National Opera in June 2006, and in May 2007 he directed and choreographed Orfeo ed Euridice for the Metropolitan Opera. He is the recipient of 11 honorary doctorates. 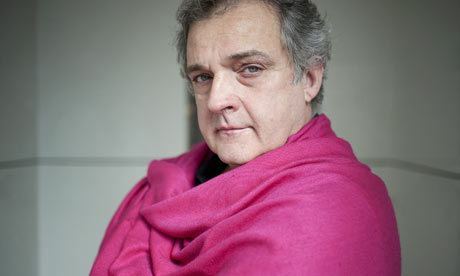 Notable works by Mark Morris include Gloria (1981), set to Vivaldi; Championship Wrestling (1985), based on an essay by Roland Barthes; L'Allegro, il Penseroso ed il Moderato (1988); Dido and Æneas (1989); The Hard Nut (1991), his version of The Nutcracker set in the 1970s; The Office (1995); Greek to Me (2000); a dance version of the Virgil Thomson–Gertrude Stein opera Four Saints in Three Acts (2001); the ballet A Garden (2001); Grand Duo (1993); V (2002) and All Fours (2004). In 2006, he premiered his Mozart Dances, commissioned by the New Crowned Hope Festival and Mostly Mozart Festival in conjunction with the 250th anniversary of the birth of Mozart; and in 2008, his controversial Romeo & Juliet, On Motifs of Shakespeare, set to Prokofiev's recently discovered, original scenario and score, had its premiere. In 2011, he premiered the 150th work of his professional career, Festival Dance, to critical acclaim during sold out performances at his dance center in Brooklyn, NY. Morris and his Dance Group collaborated with cellist Yo-Yo Ma in Falling Down Stairs, a film by Barbara Willis Sweete available on Ma's Inspired by Bach series, volume 2. There, Morris choreographed a dance based on Bach's Third Suite for Unaccompanied Cello, which Ma performs. Sweete's film depicts the performance as well as the evolution of the dance. Morris has also collaborated with visual artists such as Isaac Mizrahi, Howard Hodgkin, Charles Burns and Stephen Hendee. In 2001 his company moved into its first permanent headquarters in the United States, the Mark Morris Dance Center, in Brooklyn, located at 3 Lafayette Avenue in the Fort Greene neighborhood. 2001 also marked the establishment of The School at the Mark Morris Dance Center. In addition to being the home of the Mark Morris Dance Group, the Center houses rehearsal space for the dance community, outreach programs for local children and persons with Parkinson's disease (Dance for PD), and a school offering dance classes to students of all ages. Morris is the subject of a biography, Mark Morris (1993), by dance critic Joan Acocella. In 2001, Morris published L’Allegro, il Penseroso ed il Moderato: A Celebration, a volume of photographs and critical essays. In 2013, Morris was the first choreogropher and dancer to be the Music Director of the Ojai Music Festival. 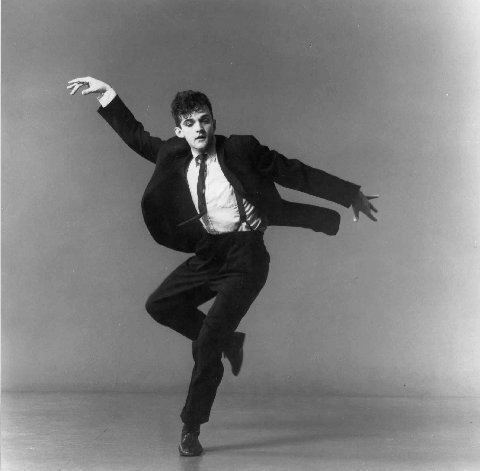 Though now largely retired from performing, Mark Morris was long noted for the musicality and power of his dancing as well as his amazing delicacy of movement. His body was heavier than the typical dancer, more like that of an average person, yet his technical and expressive abilities outstripped those of most of his contemporaries. Numerous honors include Choreographic Fellowships from the New York and New Jersey State Councils on the Arts and the National Endowment for the Arts. 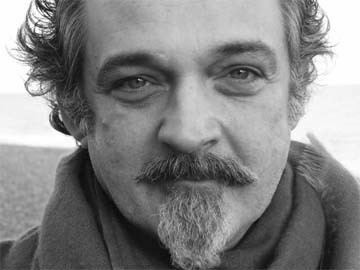 Morris has created eight works for the San Francisco Ballet since 1994, including the first American production of Delibes' Sylvia; three works for American Ballet Theatre including Gong with music by Colin McPhee and Drink to Me Only With Thine Eyes with music by Virgil Thomson; and has also received commissions from The Joffrey Ballet and the Boston Ballet, among others. In 2009, the San Francisco Ballet toasted 15 years of collaborations with Mark Morris by presenting the first All-Morris program, performing A Garden (2001), Joyride (2008) and Sandpaper Ballet (1999). His work is in the repertory of Ballet British Columbia, Ballet West, Boston Ballet, Dutch National Ballet, Houston Ballet, Pacific Northwest Ballet and The Washington Ballet. Morris' ballets have also been performed by English National Ballet, Grand Théâtre de Genève, The Royal Ballet, and The Royal New Zealand Ballet. They have been noted for making ballet more accessible to audiences that ordinarily find dance and specifically ballet too difficult to consume. 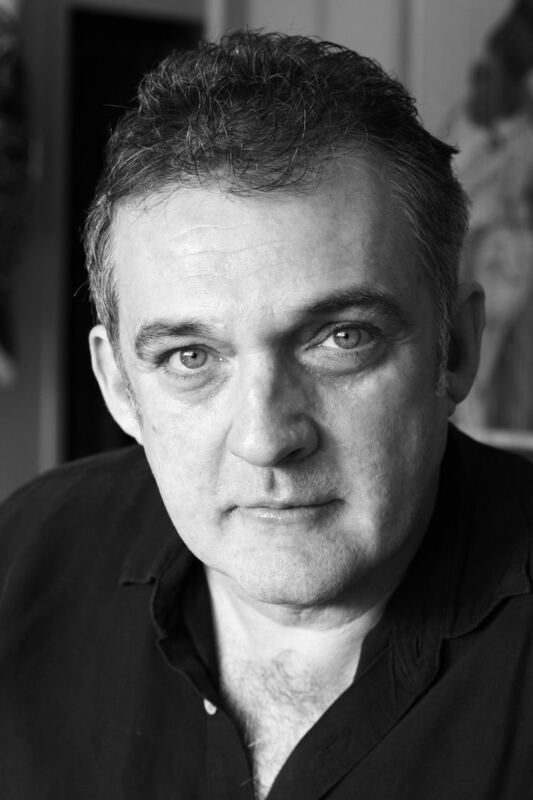 Mark Morris has worked extensively in opera for over 20 years, directing and choreographing productions for The Metropolitan Opera, New York City Opera, English National Opera, Seattle Opera, and The Royal Opera, Covent Garden, among others. In 2009, in honor of the bicentennial of Joseph Haydn's death, Gotham Chamber Opera presented the New York City stage premiere of Haydn's L'isola disabitata (Desert Island), in a new production by Mark Morris at the Gerald W. Lynch Theater at John Jay College., rev. In 2011, The Metropolitan Opera revived its 2007 production of Orfeo ed Euridice, directed by Mark Morris, and premiered John Adams' Nixon in China, choreographed by Mark Morris in 1987 but never before seen on a New York stage. The later was filmed and broadcast as part of The Met's Live in HD series with Peter Sellars directing. In 2006, for the opening of MMDG's 25th anniversary New York season, the company performed Morris' Gloria (1981, rev. 1984) set to Vivaldi's Gloria in D. Morris took up the baton for the first time to conduct the MMDG Music Ensemble and the Juilliard Choral Union. In 2007, he began conducting performances of his opera Dido and Aeneas (1989). He has also led Emmanuel Music, the Seattle Symphony and the Tudor Choir in performance. In the summer of 2011, he led the Brooklyn Philharmonic and Brooklyn Interdenominational Choir in a collaboration with MMDG at the Prospect Park Bandshell, part of a Mark Morris Dance Group program presented by Celebrate Brooklyn! In September 2011, he conducted Dido again with MMDG, this time with the Philharmonia Baroque Orchestra and Chorale; mezzo Stephanie Blythe, singing both Dido and the Sorceress; and baritone Philip Cutlip as Aeneas. Morris lives in the Kips Bay neighborhood of Manhattan. He is openly gay.